Previews for the hotly anticipated new play “Harry Potter and the Cursed Child” begin tomorrow night in London, more than a month before the full script is officially being released as a book that everybody can buy. 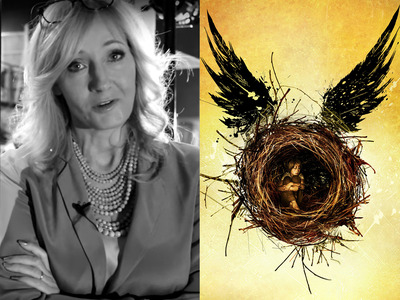 Author J.K. Rowling rightfully believes that early playgoers might give away the plot, and she’s begging them not to spoil it. The play officially opens on July 30, and the script is being released on July 31. That’s a long time to keep a secret for the lucky fans who are seeing the show tomorrow, and a long time for eager Potterheads to wait for delicious plot details. Chances are, somebody is going to pull a Peter Pettigrew and spill the Bertie Botts Every Flavour Beans.